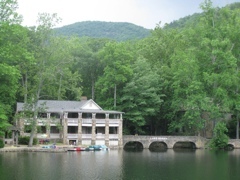 The Montreat Worship and Music Blog is Here! Hi everyone! I will be blogging here all week, technology permitting, so be sure to bookmark this page. I’ll post pictures of the kids at play and at work, and will try to capture some of the stories and experiences from the week. If you’d like to contact me directly, email sadowns@gmail.com. Cheers!